Tulle & Combat Boots: happy thanksgiving! 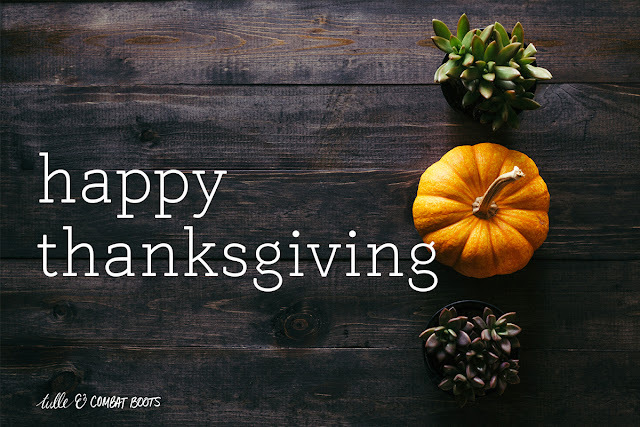 Happy Thanksgiving to all who are celebrating today! Eat lots of turkey & pie!